When consumers think of a roof, they tend to think of what can be seen on the outside: shingles or tiles. Like everything else in life, there are things that can be seen with a naked eye, and there are things that require a little bit more insight and attention in order to be identified and understood. Welcome to the world of roofing underlayment! As we have discussed in our previous post, your roof is more exposed to outer atmospheric conditions than any other part of your home. Temperature fluctuations, wind and rain can damage your roof and dramatically decrease its lifespan. In winter, about 25 percent of heat escapes through the roof. The best way to avoid unwanted nature elements from infiltrating your kingdom is to: 1) make sure your shingles are in tip-top shape; 2) use synthetic roof underlayment to further waterproof your home. So what is the underlayment? It’s a membrane that is applied to the deck of your roof before the shingles are installed. The underlayment provides the waterproof foundation upon which the roofing covering is applied. Just like going outside with just a coat and nothing else on a rainy (or snowy) day is not the smartest idea, leaving your outer covering exposed to the elements without a solid foundation is not just careless, but can turn into a very costly problem. Typical underlayment is a black felt paper that has been coated with asphalt to create a bond with the shingles. These days, there are all types of underlayments made for different types of roofs and different weather conditions. 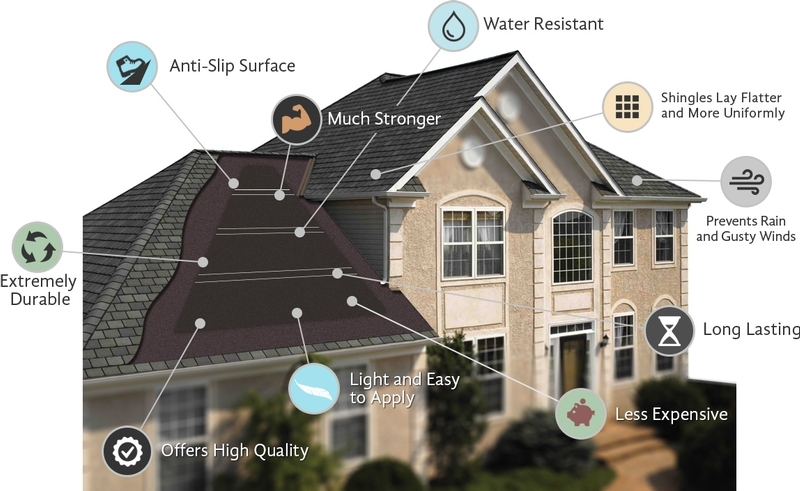 Here at ATJ’s Home Improvement we are quite fond of synthetic roofing underlayments. They are easier to work with, won’t wrinkle and generally we’re able to complete our projects faster. By doing so, we are able to pass the savings to our customers. Long-lasting polymers give synthetic underlayment its strength and longevity. It’s impervious to moisture and, when installed correctly, offers a higher degree of weather protection than felt. This is especially important in the Chicago area where winters are generally cold and snowy and winds are strong, often accompanied by hail in the summer. When choosing a Chicago roofing contractor for a new roof installation, always ask what type of roofing underlayment they are going to use. If their underlayment of choice is synthetic, don’t hesitate to ask how much experience they have installing this newer type of roofing material. Finally, if you already have a roof with synthetic roofing underlayment, make sure your attic is properly ventilated. Because this type of underlayment creates a waterproof barrier, attics should be vented accordingly to prevent condensation buildup beneath the roof deck.